Among supporters of the Palestinian struggle, I am sure I was not alone in being appalled by the news that the ceasefire talks between the Palestinians and Israel had broken down on August 19, and that another round of rocket attacks launched from Gaza and Israeli bombing of targets in Gaza had begun. Is it possible that the talks broke down because Israel made demands amounting to unconditional surrender, demands that were simply impossible for the Palestinian negotiators to accede to? In other words, that Israel had no intention of ending its violent assault on Gaza, even temporarily? That seems unlikely, considering that they had already withdrawn their invading troops from the territory of Gaza. The Israeli rulers are brutal and ruthless, but there are still political and military constraints on how far they are able to press their cause. At the same time, the truculent bombast and ‘fighting talk’ coming from Hamas indicates other causes for the breakdown of the talks. If Israel wants calm? Gaza lies in ruins. 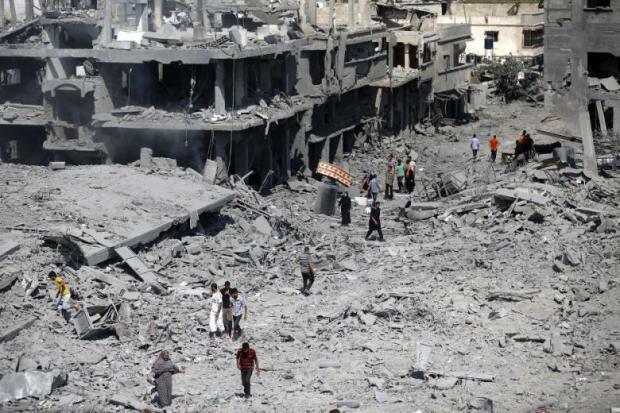 In addition to the more than two thousand Palestinians killed and ten thousand wounded, the electrical, water and sewage infrastructure of Gaza is severely damaged, thirty thousand workers have lost their jobs, with over a hundred factories bombed. Isn’t the Palestinian people’s need for calm even greater than Israel’s at present? An analogy comes to mind. The swaggering, bullying cop is a representative of capitalist injustice and oppression. If you kick a cop on the shins, and suffer a savage beating under the cop’s baton in response, that is police brutality, and you might win some sympathy and support from others who have suffered similar beatings. If you get up after your beating and kick the cop on the shins again, and get another beating, it would again be police brutality – but it would also be damned foolishness on your part. If you keep kicking the cop on the shins, telling the world that ‘you know a way to make him understand,’ even your most loyal friends will shrug their shoulders in despair. An editorial in a recent issue of the Militant posed this problem squarely. “Working people worldwide should join actions condemning Washington-backed Israeli assaults on Gaza and support the decades-long struggle of the Palestinian people, whose fight against national oppression has been shackled by the senseless cycle of Hamas terrorism and murderous retaliation of Tel Aviv’s armed forces” (my emphasis). While the proposals in the editorial were not presented as the last word on the Palestinian struggle, they do indicate a sharply different course than that of either the Hamas leadership in Gaza or the Palestinian Authority in the West Bank. It is an independent working class political course, aimed at placing the toilers of the region back in the leadership of the Palestinian struggle, as they were in the intifada of 1987-93. 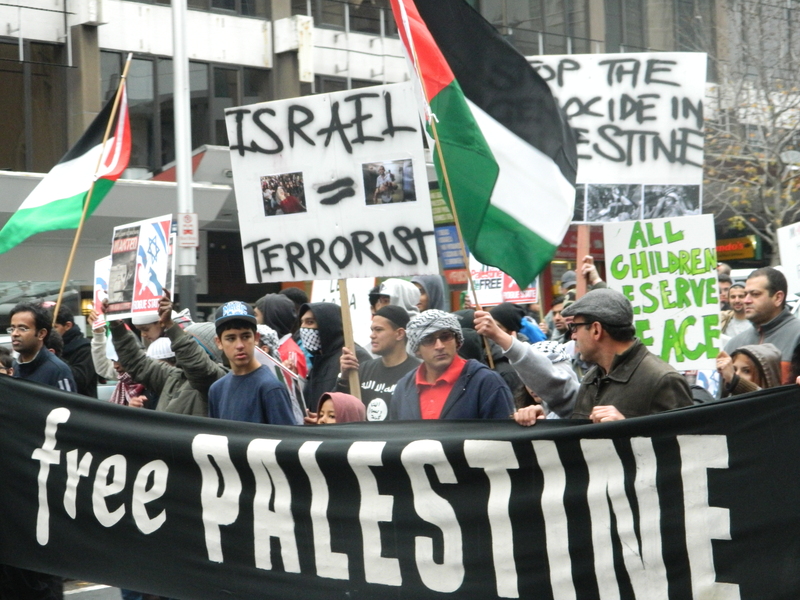 These are not popular ideas among supporters of the Palestinian struggle. When I posted a link to this editorial on my Facebook page, along with a comment of my own about Hamas shrugging off the loss of Palestinian lives, it received a negative response from one of my friends, who was one of the organisers of the protests in New Zealand. This is an important discussion. Despite the mention of (unspecified) criticisms, my friend’s comments reflect the pervasive influence of the Hamas perspective, the Hamas ‘strategy’ – and consequently, the Hamas dead-end. 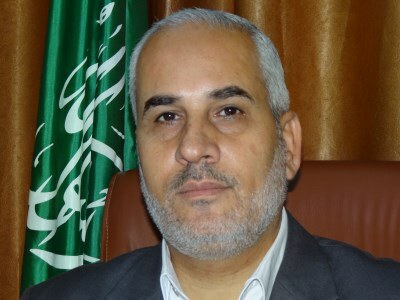 The bourgeois and anti-Semitic character of Hamas, and the dead-end the Palestinian struggle finds itself in under Hamas’s leadership, are unpleasant facts, and there are many honest and well-intentioned supporters of the Palestinian struggle who lack the political courage to face them. The tendency to denial is strong. In speeches at the Palestine solidarity rallies, for example, the Hamas policy of ‘human shields’ was commonly decried as a slanderous fabrication of Israeli propaganda. This is simply not true. 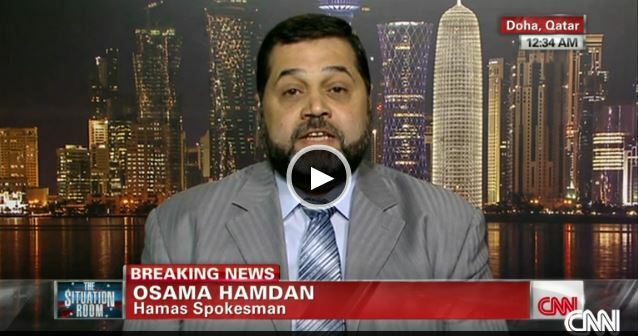 Osama Hamdan interviewed on CNN on the question of the ‘blood libel’. Hamas leaders openly appeal to anti-Semitism. 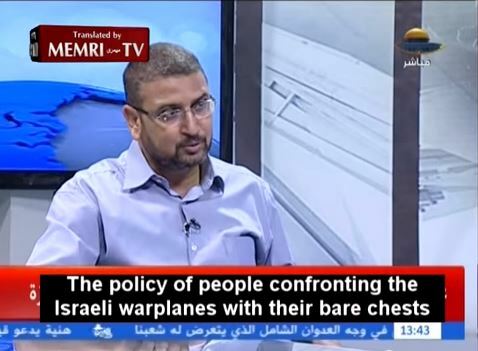 Hamas spokesman Osama Hamdan recently revived the old anti-Semitic myth of the ‘blood libel’. (This ancient accusation is that Jews ritually sacrificed the children of Christians to obtain blood, which they mixed with the dough used to make Matzos, the unleavened bread traditionally eaten at the Jewish festival of Passover. It was used to foment pogroms against Jews from the Middle Ages right down to the twentieth century.) Hamdan repeated this reactionary myth on Al-Quds TV in Lebanon in August. In this link, he refuses to retract it when confronted by a CNN reporter on August 6. (The video includes a clip of Hamdan making the accusation, with subtitles). Facts are stubborn things. Refusing to face them simply because they don’t fit your analysis is a dangerous practice; one that puts you on a slippery slope towards conspiracy theories. Giving credit to Hamas for ‘leading the just and necessary resistance’ as my friend does, when in fact Hamas’s leadership is disarming and derailing that resistance, leads to rationalising, justifying or at the very least turning a blind eye to their reactionary positions. Worse, it leads to deeply pessimistic conclusions about prospects for the Palestinian struggle. Israel has its origins in a colonial-settler state, and like the colonial-settler states of New Zealand, Australia, the United States and elsewhere, it was founded on the violent dispossession of the indigenous inhabitants. But why should it be any more immune to the laws of capitalist society and class struggle than the other capitalist states which originated as colonial settler-states? Israel has existed for 66 years. In New Zealand the development of modern classes, class consciousness, class-struggle unionism, and independent working class political organisation reached an early peak of development over the decade beginning in 1907, This was only 67 years after the formal founding of the British colony in New Zealand, and only 34 years since the wars of dispossession of the Maori. Through those union and political struggles, an alliance between Maori and the labour movement began to take shape. Why should such class-struggle politics, and such an alliance, be precluded in Israel? Recognition of Israel does not, as my friend assumes, mean political support to the Israeli regime. It simply means recognising the fact of Israel’s existence; the fact that it will not disappear tomorrow. Such recognition is a precondition for the cessation of hostilities. A Palestinian state also exists. It still lacks many of the essential conditions for a sovereign state, such as control over its borders. It is a fragmented, balkanised state without a single contiguous territory or other necessary conditions for the development of economic life. Still, recognition of this state is likewise a precondition for ending the carnage, creating the conditions for the emergence of a working class leadership in both Palestine and Israel. It is true that at present the vast majority of Israeli Jews support their rulers in the war against the Palestinian people, and this is the source of Netanyahu’s great advantage, both military and political, over Hamas. This is the direct consequence of Hamas’s political and military ‘strategy’ of randomly targeted terror attacks on Israeli civilians, and a reaction to its gross anti-Semitic statements, which are naturally reported far and wide in Israel. No appeal to Israeli workers will be successful without a clear and unequivocal rejection of anti-Semitism. 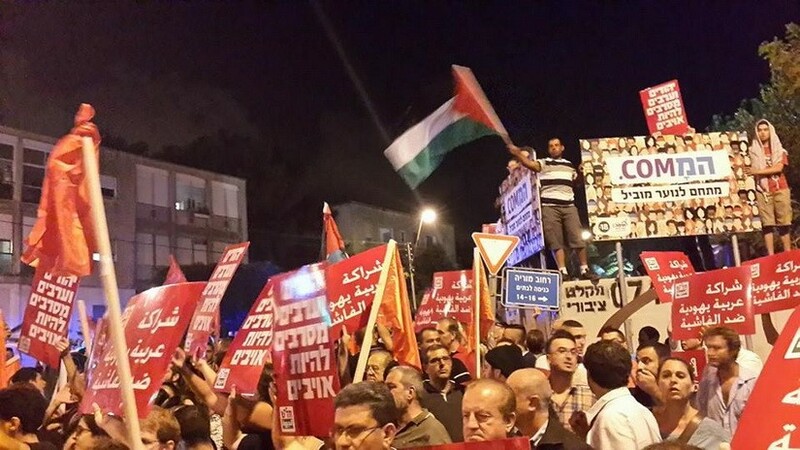 The murderous assault on Gaza did bring into the streets of Israeli cities some significant-sized demonstrations against the Israeli aggression. The demonstrators, who included both Jews and Israeli Arabs, had to withstand physical assaults from Israeli rightists. There have been demonstrations in support of a Palestinian-Jewish couple who insisted on the right to marry, and in support of Eritrean refugees in Israel. One would think that these developments would be welcomed by all supporters of Palestinian rights. Yet the same forces who feel the need to cover for the reactionary positions of Hamas are also driven to talk down the importance of these developments inside Israel, lest they in some way ‘legitimise’ the Israeli state. The editorial in the Militant leaves many urgent questions of Palestinian national rights unanswered – such as the right of return for Palestinian refugees of the Nakba, the continued encroachments of Israeli settlements on Palestinian territory, and others. It is not a programme for the Palestinian national struggle, but simply a framework for ending the destructive cycle of Hamas provocations and murderous Israeli aggression – a cycle which neither Hamas, nor Tel-Aviv, nor the Palestinian Authority is capable of ending. As I write, Hamas has announced the public executions of 18 people accused of collaboration with Israel, and has promised more executions to come. The identity of the people executed has not been made known, let alone the evidence against them. There is every reason to believe that there is no evidence against them. The pressure on Palestinian toilers to keep quiet about any criticisms they might have of the Hamas leadership just increased dramatically. (No doubt there will be some who read this as a sign of increased support for Hamas.) Finding a working class road for the Palestinian struggle just got a lot more difficult, a lot more necessary, and a lot more urgent. And the politics of denial is still strong. When another friend posted an article on these executions, the first two comments were from people questioning whether this development may have been a ‘false flag’ operation – a fake event staged by the Israeli propaganda machine in order to discredit Hamas. 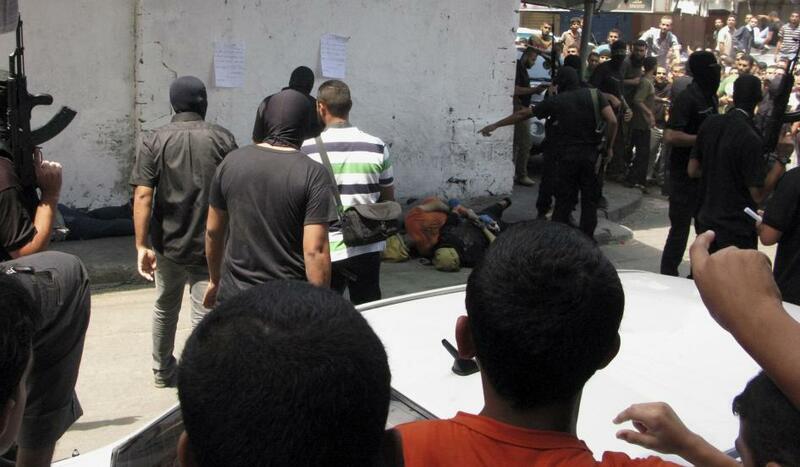 This, despite the rather obvious fact that Hamas has not denied that the executions took place. The stakes in this discussion are high. The friend with whom I had this debate, I should point out, was one of those organisers who took a clear stand against all forms of racism, including anti-Arab racism and anti-Semitism, on the demonstrations in solidarity with the Palestinian struggle. This provides a sound basis for further discussion. This is one of your best essays. Congratulations and many thanks. I must tell you that it took some time, as it did with others I know, to digest the Militant editorial of a few weeks back, even though I have many decades of experience in the socialist and labor movement. You help clarify the heart of the matter which is what road forward to aid the workers and farmers of the region – Palestinian, Jewish and immigrant – to gain space, strengthen their position and reclaim the leadership of the struggle. It is supremely satisfying to know that the Socialist Workers Party in the United States and others like yourself has the capability to dissect the many moving parts and put forward a perspective that is in the best tradition of the revolutionary socialist movement. Workers of the World, Unite! Thanks for your comments, Richard. The post has met with a strangely muted response, both here and on Facebook, where I actively solicited comments from a range of my friends who had participated in the Palestine solidarity actions, some of whom support the Hamas position, (albeit with some criticisms), along the lines of the friend mentioned in the post. While the lack of response is a little disappointing, it is at least a positive sign that almost no one has felt bold enough to denounce these ideas as “Zionist apologia” – which is what I was half expecting. I take that to mean that the evolving situation in Israel and Palestine is forcing many people to re-think some long-held positions and consider them in a new light, as we all have had to. As I said to a friend who still strongly disagrees, this discussion is not going to go away any time soon. There is nothing wrong with an honest disagreement of course, but I have also noticed a very muted response in the United States and elsewhere amongst those who usually comment on such things, be they individuals, or to a lesser extent, organizations. I too have been pondering the same question – why is this so? It must mean that for those who employ the Marxist method (a smaller number today than in previous periods of time), and for those who have not capitulated to the various “right-left” convergence trends, particularly when it comes to creeping antagonisms against Jews, the Militant’s perspective must be making sense on some level, at least for those who still posses the skills to digest what is being said. The U.S. SWP is an important revolutionary party and it’s views are considered in many corners of the world, so I know people are thinking about it. On the other hand, it takes a certain courage to face the facts, and perhaps not so many people are yet prepared to face the facts. Not sure If you remember me but I worked with you on a reconstruction project for Pathfinder books, probably over twelve years ago. I consider myself a supporter of the SWP (US) as I did then (I was a member, youngish who was terrible with mechanical aptitude) when we met and talked a bit. Anyway, to the point. I wonder how deep this change goes, in terms of the classical analysis of imperialism, oppressor/oppressed nations, etc. And I say this not from an accusation that you or the SWP are betraying Lenninist principles, selling out the Palestinian struggle, etc. Rather from considering it in light of the changes in the Party (the SWP US is the party to me) in relation to Malcolm X (or a clarification of disputes within the Party I knew nothing about–they were before my time, etc. on revolutionary nationalism vs communist internationalism, etc. I wonder if the combined effects of the collapse of the Soviet Union and the economic crisis leads to a situation where most places, (the Ukraine excepted) have worked through or exhausted bourgeois nationalism, or virtually any revolutionary nationalism at all. In other words, Palestine or Israel (and I still believe their future is linked even if in a socialist federation, hopefully before) will build workers and farmers governments. The problem with the divestment movement in not just anti-semitism, real as that is, but even more turning over leadership to bourgeois forces to change things. I know a former SWPer who hates the SWP here who is big in the campaign and she celebrated the Bank of the Netherlands divesting from Israel. So we need to look to Banks as a substitute for class struggle? Now in the biggest crisis, potentially, capitalism has ever faced worldwide? If you have time, I would love to hear your further thoughts. Hi David – yes I remember working with you. I think your last statement is the key to the situation: it is the bourgeois character of Hamas that makes it unable to lead the resistance to the Israeli regime in any way – their anti-Semitism, their self-defeating military ‘strategy,’ their ‘Arabs against Jews’ framing of the lines of struggle and consequent indifference to openings among Israeli Jews, their dependence on bourgeois governments rather than the Palestinian masses – all these things are what is to be expected, and the only thing that can be expected, from a bourgeois leadership. The BDS campaign is simply an extension of these Hamas perspectives into the world beyond Gaza, an attempt to exert pressure on bourgeois governments and institutions to isolate Israel, as a substitute for relying on the mobilisation of the Arab masses. I would be more cautious in generalising about the end of national struggles generally. The fight against national oppression remains an important force in the world, a stepping-stone to organising as a class in some parts of the world, and an integral part of organising as a class in many others. You only need to look to Ukraine and Kurdistan for evidence of this. The bourgeoisie has shown itself incapable of leading such struggles – even here, a leadership that rests on the working class is required.